Australia’s Modern Slavery Bill could become law this year so legal expert Rob Jackson tells us what not-for-profits need to know. The bill was conceived to prompt businesses to consider how they do business on a global scale, including within their supply chain, and to take steps to eradicate any risk of modern slavery. Additionally, the Commonwealth has committed itself to complying with the new law. Under the bill an entity that “carries on business in Australia” with an annual revenue greater than $100 million must report annually on the risks of modern slavery in their operations and supply chains. This obligation is set out in the Modern Slavery Reporting Requirement which requires a reporting entity to file a Modern Slavery Statement (MSM) for any year that consolidated revenue is above $100 million. Any entity, not otherwise obliged by the law, may volunteer to file an MSM. Only one per cent of all charities in Australia have an annual revenue over $100 million, and these are mostly universities and hospitals. While four in every five charities (82.8 per cent) report revenues under $1 million. The majority of NFPs will therefore not be obliged to submit an annual MSM. Value alignment – At the core of many NFPs’ purpose is the underlying desire to help those who are disadvantaged, meaning there is alignment between the purpose of the proposed legislation and the wider values of many NFPs. Limited complexity – In contrast to compulsory financial reports which include prescribed complexity, the MSM has no mandatory content and as long as a few key criteria are met the process doesn’t have to be daunting. Broader awareness – The process of submitting an MSM will create greater awareness for an entity of its broader footprint and impact (e.g. how the coffee in the communal kitchen is sourced). Perception risk – It is far better for an organisation to find out there is something going on and to be seen to be asking the hard questions, rather than have an external party be critical of the organisation. Many NFPs cannot risk funds received through donations and bequests. Anticipating compliance – An NFP that itself has voluntarily complied will be better placed to work with a third-party that is obliged to report, for example, a Commonwealth department or agency providing funding, or large corporation looking to work with an NFP. In a word, it is all about NFPs demonstrating leadership. What does submitting an MSM involve? While there is no prescribed formula for submitting an MSM, it does not necessarily have to create an administrative burden for an organisation. It is more important to create a process that is manageable and starts raising awareness, than something that is unnecessarily complex. Who – The responsibility of creating the MSM needs to be assigned to a specific person. It has been suggested that the responsibility should rest with human resources due to the inherent human component, but it is more important the task is assigned to someone with the ability and resources to develop and conduct robust due diligence processes. A senior member of the organisation will be required to sign off the final report. Due diligence – NFPs need to develop a list of checkpoints, investigate practices against the list and have a process in place to deal with any misalignments. What to do if modern slavery practices are discovered in supply chains? Reporting on the discovered issue and the steps taken to rectify it within the MSM. In Australia, since 2004, there have been reports of over 350 suspected victims of slavery across a range of industries. The Global Slavery Index 2018 estimates there are approximately 15,000 people trapped in modern slavery in Australia, while the United Nations estimates some 40 million people are affected by slavery, with half those located in our Asia Pacific region. 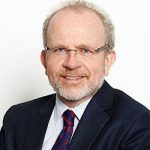 About the author: Rob Jackson is a Partner in Rigby Cooke’s Workplace Relations team and has over 25 years of legal experience. Rob Jackson is a Partner in Rigby Cooke’s Workplace Relations team and has over 25 years of legal experience.